Female to share large modern 2 storey / 4 bedroom / 3 bathroom home in Mooloolaba - large resort style pool, tennis court, home gym, and rear entertainment deck overlooking tranquil rainforest setting. + unlimited Wi-Fi internet. - close to beach, shops, and public transport (bus direct to Plaza and Sunshine Coast University) - quiet, relaxed environment (definitely not a party house).! - suitable for students or professionals alike.! 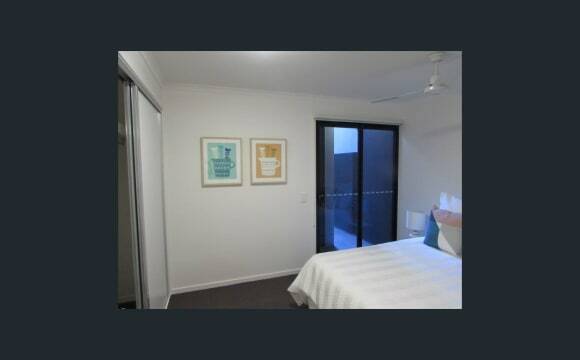 - Private room (share newly renovated bathroom &amp; separate toilet with 1 other female only).... $130 p/week. Walk 2 streets to beach, shops and bus stops. Available 5 June 2019. Short or long stay. Rent $180 per week incl bills. Couples welcome $260pw Inc bills. Kitchen cleaning roster only 1 hour per week per flattie. . All welcome - Aussie holidaymakers (cheaper than Airbnb), international students, travellers or workers. . Multiple rooms available June. Happy to consider groups or short term room shares for persons travelling together. Couples will be offered the first larger room available later in June (no additional charges). Available during June. Larger furnished queen room with own sitting space and three airy windows vacates during June or sooner. Couple preferred $260 per week including bills. .. The household is responsible, and inclusive. A kitchen cleaning roster requires each room to do 1 hour of housework per week on top of cleaning up after themselves. The home is tidy. 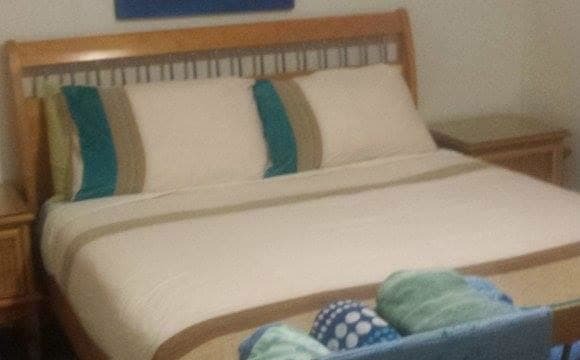 New bathrooms and toilets are shared between flatties, and are serviced weekly. . As this the largest room, the single person room rate $195 per week including bills. 4 weeks rent upfront plus $100 refundable cleaning bond after completion of exit cleaning list. . This is a sought after room rarely becoming vacant, so book ahead for your stay. Only 800 metres walk to beachfront, bus stops and shops. ON HOLD (awaiting deposit). Other rooms available. All welcome - USC, TAFE, LEXIS students or working travellers. Queen room from 2 July 2019. $260 couple or $185 single weekly incl bills. Short or long lease offered. .. The comfortable communal living spaces include a large kitchen with island bench dining and an outdoor deck with bbq and lounge chairs overlooking a splash pool, and an outdoor dining area. Herbs and pumpkins are in the gardens to be shared. . Everyone comments how peaceful and relaxing the home is despite having multiple rentable rooms. . There are 2 bathrooms with showers and handwashing basins and 2 separate toilets with additional handwashing basins, to be shared between flatties. . Room prices include WIFI, electricity and water and washing machine. Toilet paper, and hand soap and dishwashing liquid is provided as a courtesy. . A $100 cleaning bond is payable to secure the room booking. The deposit may be refunded if the listed exit clean passes inspection at time of vacating. . Four weeks rent is payable in advance upon arrival. Rent is to be paid every 4 weeks ahead. . Please note this home is not suitable for air conditioning or heating, but has natural coastal breezes and ceiling fans in all rooms and sun-warmed deck and kitchen during winter. Air conditioning is an additional metered electricity cost, and is not included in the rent. Bills and wifi included. Awesome housemates that work full time. This property is great because you get a modern and fresh home, whilst also being in a central location on the sunshine coast. Only a 9min drive to Mooloolaba beach, but there's a pool here too, if you are feeling like a swim during Summer. These apartments are located in between a coles and a woolworths, so you can even walk to the shops. There's a gym here too. The house is fully furnished a part from your room, so you have everything you need. If you are a reliable, good person, looking for a modern and clean home and a positive and friendly atmosphere to live in, look no further. Quiet location, close to amenities. Happy to consider single mum with child also. 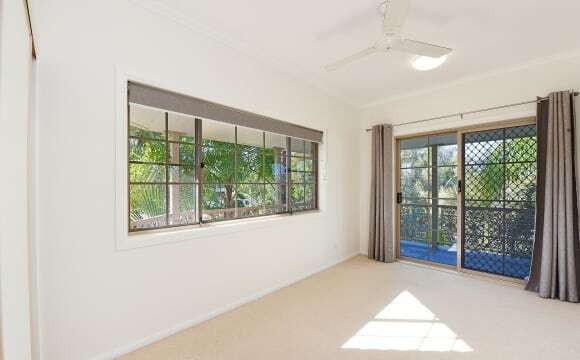 This property is close to Noosa civic and you can walk to Noosa river. Central position. It is a modern large home . Ducted air con ceiling fans. Large master bedroom large en-suite and walk-in robe. $360 or couple $400. A Studio room to rent in a large beachfront house . Bills are included in the rent . ( Shared unlimited internet if needed ) A special house , with plenty of room for everyone. Salt water pool , I pay the pool cleaning costs Large under cover BBQ area next to the pool . The Studio room is 5m x 4,5m. You will have the best of both worlds as the studio will fit a TV and a couch , or join in with the house if you like. It has a kitchen , wardrobe and is a very bright pleasant space. The Studio is outside the house , with the bathroom just inside the door . The Studio has a share bathroom with a female house mate . The bathroom is large and has a bath . I am getting a new Air conditioner installed in November . There is Heaps of trees and nature around the house. Bike paths , shops , bus stop, cafes are very close bye. Looking for a Female , employed and non smoking housemate. I own the house so no need to worry about real estates and having to move out . Long term rental , if needed. Beach access path just outside back gate ( photos) . A very quiet safe area , you can hear the waves crashing . If you love the beach , it doesnt get any better than this location. A truely special spot to live . You’ll love living here. Its a huge gorgeous house. As Matt says ‘it smells of rich mahogany’. What more can you want? 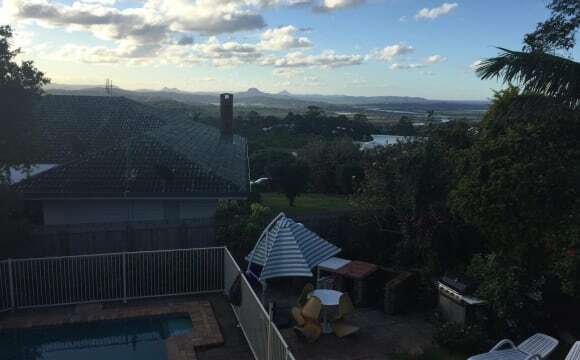 We have our own pool with lovely views of Mount Coolum, Maroochy River and mountains. You’ll be in a decent sized double bedroom, with built in storage. It’s got a modern kitchen, with dishwasher, and a laundry room with a brand new washing machine. We have only recently moved in so just getting furniture together. It’ll look even better soon! If you’ve got any to bring then ideal but if not no dramas. You’ll just need a bed! Rent is $180 including bills, you only have to pay a week upfront and don’t need to go on a lease. It’s a good friend of ours property so respect is an absolute must! Groups welcomed. Multiple rooms available from June. Wake to view sunrises from outdoor living area or take a short walk (800 metres) for sunrises over the beaches or bus stops or shops . A cleaning bond $100 is required upon arrival, refundable after a completed exit clean. Four weeks rent ($160pw) plus 4 weeks amenities and facilities charge ($25 PW) is payable in advance upon arrival. Rent plus amenities $740 is to be paid every 4 weeks ahead. . The comfortable communal living spaces include a large kitchen with island bench dining and an outdoor deck with bbq and lounge chairs overlooking a splash pool, and an outdoor dining area. Herbs and pumpkins are in the gardens to be shared. . Everyone comments how peaceful and relaxing the home is despite having multiple rentable rooms. . 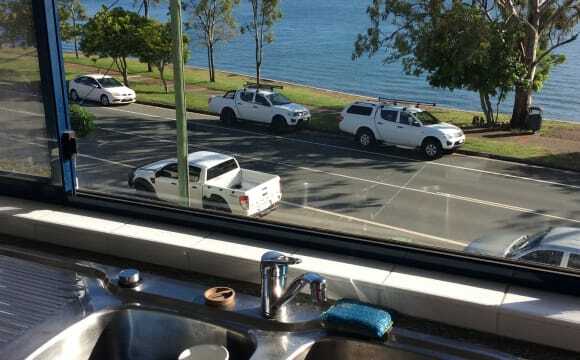 There are 2 bathrooms with showers and handwashing basins and 2 separate toilets with additional handwashing basins, to be shared between flatties. . A $100 cleaning bond is payable to secure the room booking. The deposit will be refunded if the listed exit clean passes inspection at time of vacating. . Please note this home is not suitable for heating but has natural sun-warmed deck and cosy kitchen during winter. Outdoor gas heater provided to use as necessary. From June. This home is just 2 streets from the beachfront, bus stops and shops. Single bed $150PW + $25PW bills. This furnished single bedroom is in an established flatties home. References available. .. Other larger rooms available ($185 bills included) bedrooms are also available. .. Maintained and clean communal areas, splash pool, outdoor living area and separate smoker's shed room. All flatties are required to do 1 hour a week checklisted kitchen clean. .. COMPULSORY share of bills $25 PW includes unlimited wifi, piping hot water, electricity, gas bbq and outdoor gas heater, and water and also included bath towels, sheets, pillows, blankets, plus use of washing machine and all kitchen appliances and includes toilet paper, hand soap, dishwashing liquid, dishwasher tablets and cleaning fluids. .. $100 cleaning bond payable to secure booking. Refundable after completion of exit cleaning list. .. Four weeks rent payable upfront. Rent payable every four weeks ahead. With the Tenancy commencing on or shortly after Tuesday 14th May, I am inviting one only co - tenant to join me, being a total of two occupants in this near new 3 bedroom duplex style home. You will have exclusive use of two bedrooms and the main bathroom. The second bedroom could be utilized by you as a study or for storage etc. You will have use of one of the two garage spaces. No more than two people will occupy the house at any time. You will be required to be a co - tenant on the Lease and pay four week's bond. I have put in a generic address as the actual one is not known at this time, however there are usually a number of suitable properties available for rental in this area. I am fully furnishing the house including one of your bedrooms and the main bedroom. The quality furniture will include a smart TV, new linen, new kitchen appliances etc. I will be responsible for the lawn and garden maintenance. The house will have access to the Rec. Club with free facilities such as gym, 25 m. heated pool and tennis courts. Please contact me if this is of interest. 5 minute walk to the beach and cafes. Nice open plan living/ kitchen area. Outside courtyard area perfect for bbqs. Garage storage space. Amazing neighbours. 5 mins to the beach. Very kind housemates! Situated in Brightwater estate, lovely walking distance to the lake, Brightwater Hotel, ALDI shopping centre. NBN FTTP, Netflix, Air conditioning, 3 living areas.